Some groups of people are under-represented in higher education. Young people who grow up in families in which there has been little or no history of studying at university might need information about graduate opportunities. Looked-after young people/those who are/were in care and people with disabilities may need extra support. Other people may have family commitments which make it difficult for them to find the time or the money to study. We aim to help them find ways around the barriers that they face – real or perceived. But widening participation is more than just reaching out to such communities, it relates to the whole 'life-cycle' of a student in higher education, from applying through to graduation and further study or employment. As part of its registration with the Office for Students, LSBU has developed an Access and Participation Plan. Access and participation plans set out how higher education providers will improve equality of opportunity for underrepresented groups to access, succeed in and progress from higher education. These plans take over from Access Agreements that were previously renewed and formally approved each year by the Office for Fair Access (OFFA) but remain in force for students who started their University course before 2018-19. The access and participation plan or access agreement that applies to you is based on the academic year in which you started your current studies with us. You can find a full record of LSBU’s Access Agreements on the Office for Students website. Download LSBU's Access Agreement for 2018/19 (PDF File 743 KB). 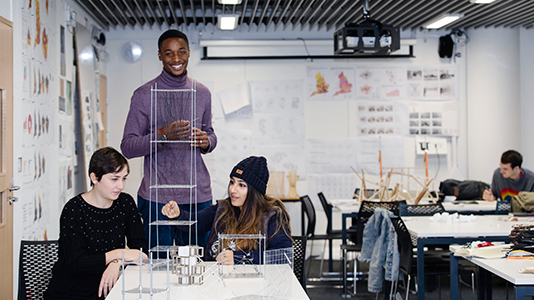 Download LSBU's Access and Participation Plan for 2019/20 (PDF File 448 KB). Contact the Student Life Centre for details.